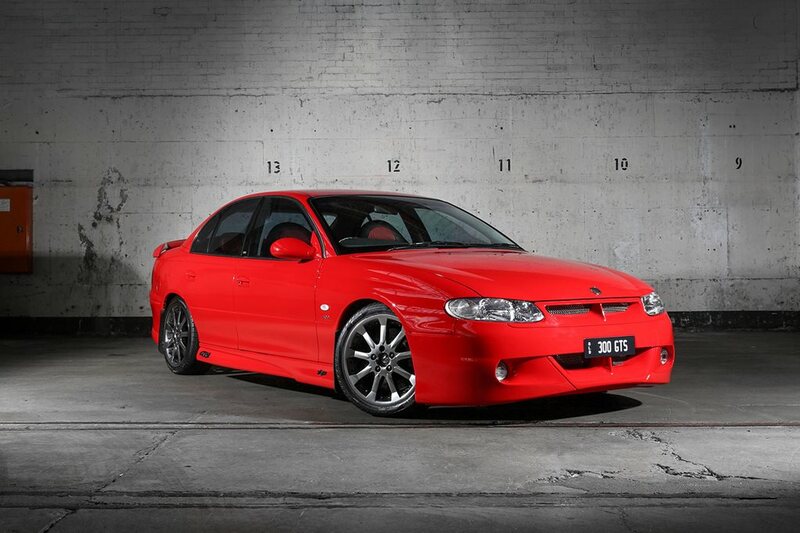 The HSV VT Commodore is the model that took the big Holden to the world stage. Exports far and wide and grown up stuff like an independent rear-end across the board served notice that the Commodore had `arrived’. But over at HSV, the new VT was throwing up at least as many questions as it was answering. Prime among those was what the hell was HSV going to do for a tier 2 powerplant. Sure, it had the 250kW version of the LS1, but ever since the 5.7-litre stroker version of the Iron Lion in the VS GTS-R, it had also been able to serve up a power-up to those with the extra folding. That was fine while ever it could tap into Holden Engine Company’s catalogue, but since the arrival of the LS1, HEC was no longer responsible for assembling the V8. So what to do? First thoughts were to tap into TWR’s arsenal (Tom Walkinshaw himself was a shareholder of HSV after all) but eventually, the road led HSV management Stateside, to Reeves Callaway’s bunker in Connecticut. Things were starting to fall into place: Callaway had history with the GM operation in general (Callaway-modded Corvettes were selling through GM dealerships) and the Gen 3 V8 in particular (Callaway was already squeezing big numbers out of the alloy bent-eight). A deal was done with a brief to get 300kW out of the thing with Callaway handling the hardware and HSV and Holden’s drivetrain team handling the electronics after GM poured water on the notion of any outside supplier, even one as embedded as Callaway, fiddling with the OBD2 brain. So, Callaway’s contribution was to leave the tough, six-bolt-main bottom-end alone and concentrate on getting air in and out. A new throttle body was developed, a new camshaft brewed up and the mass-flow sensor was deemed too restrictive, so a mafless tune was developed. But the real magic lay in the cylinder heads which were virtually hand-made (albeit with CNC machining processes) and then fitted with bigger valves and cool bits like titanium springs. And it wasn’t just the engine that made the GTS special. It also got revised gearing courtesy of a lower final-drive ratio, tweaks to the rear suspension and the return of the HydraTrak LSD. It was also a manual-only deal thanks to the lack of a slusher with the agates to cope with the grunt. That would have to wait until the VT Commodore came around. 2018 Holden Commodore: sink or swim? In the end, the drive wasn’t as dramatically different as it might have been. Maybe because the bread and butter HSV 250kW tune was pretty good; maybe because the power had been shifted up a bit higher in what was already a relatively peaky thing for a nearly-six-litre V8. But there’s no doubt that the basic premise was right. If, that is, you were comfortable with the idea of spinning 5.7 litres all the way to 6000rpm for maximum power. Mind you, the engine itself was fairly happy to oblige with its ignition cut upped to 6500rpm. It was tuned to run on PULP, too, although Holden’s own durability rules dictated it had to be able to cop 91 if that’s all that was available. Twin knock-sensors looked after that. The car still felt big and heavy and it still, like all VT-VZ Commodore platforms, relied pretty heavily on its front end when turning in. You could feel it loading the outside front tyre when you got serious and, eventually, that’s what limited its pace on a track. That and the sheer mass of a VT Commodore which was a big mind-shift for some of us. And while the T56 transmission was improving all the time in terms of its shift speed and accuracy, many would-be buyers would have preferred an auto had it been available. Of course, in 2017 when HSVs are packing 6.2 litres and blowers for good measure, 300kW doesn’t seem so crazy. But let me tell you, back at the turn of the century, this was a headline grabber of the highest order.